Archives for September 2017 | Khelmart.org | It's all about Sports. Tennis Racket for beginner should be lightweight in nature. Racket should be even balance so that player will get best combination of attack and defense. Racket should be made of lightweight and durable material like graphite or Aluminium. Racket should be pre strung in nature which can offer best racket characteristics. Player can use additional damper on racket string to neglify the extra vibrations. Match Point Tennis Racquet is perfect for you. Match Point is best suited for intermediate or entry level players who want to improve the game.With 100 sq in Head Size and Aluminium frame, Match Point gives super control and feel. Racquet length is 27 inches which gives moderate swing speed recommended for entry level players. String Pattern of Match Point racquet is 16 X 19 with string tension of 50-60 Lbs (Pre Strung). This racquet consists of round head shape which gives effective playing area required by beginners.More Details and Price . Wilson Fusion XL Tennis Racquet features V-Matrix technology that gives it a larger sweet spot. The V-Cone bridge adds power and spin, and extra-long length provides an extended reach. It is made of AirLite alloy that makes it lightweight and easy to swing. The Stop Shock sleeves reduce the string vibrations. The racquet is suitable for adults. More Details and Price . Wilson Triumph Tennis Racquet is suitable for junior level tennis player. This racquet gives ultra light weight body construction (Airlite Construction) which is necessary for junior players. With sockless beam, junior players will fell less or no vibration on handle and better convert opponent shots into wining point. Extra Large Head provides better opportunities to score the points while its super fast racquet swing gives confidence to deliver powerful aces. Wilson Advantage tennis racquet is very good option for junior players and it will change the game drastically. Badminton shoes selection is very important part , most of the badminton players concentrate more on racket and not give importance to shoes as a result , player may face serious injuries on court. 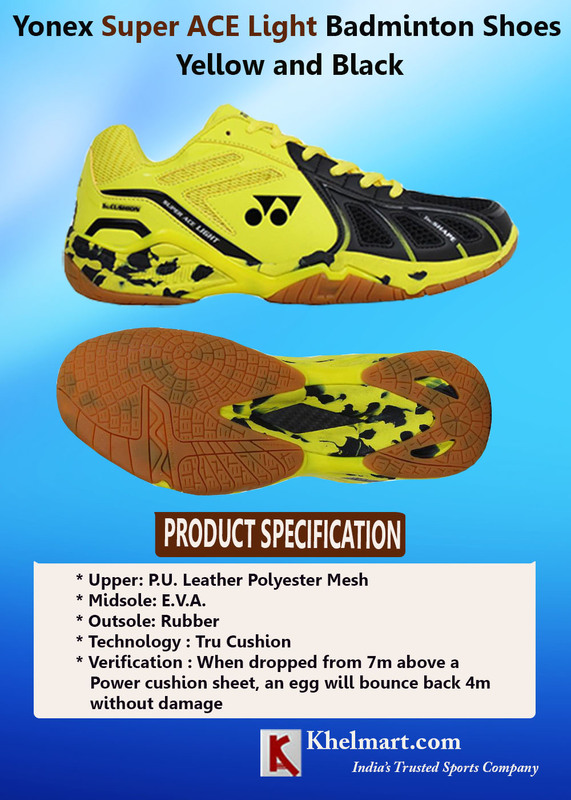 Non Marking Badminton shoes are made of specialized rubber sole which gives anti skid ability to player. We all know that badminton courts are made of wooden or cemented floor.Surface of these court are very slippery in nature so if you play with normal shoes than you may face injuries as badminton is fast game and required lots of foot movement to cover the court. In order to perform well and play safely , player need to select the shoe carefully. In this blog , we are listing the best Badminton shoes under 2000 and Badminton shoes for intermediate player. Nivia is known brand in the field of sports equipment in India.Nivia produces high quality sports equipment and footwears. Nivia new super court is an upgraded version of super court shoes which was a great hit and grain popularity in badminton players. New Super court shoes upper is made of durable mesh while on top of its laminated color rubber graphics offer a different look and feel. Nivia used latest 100% non marking non skid sole for making this shoe. This shoe offer better performance as sole in non marking and developed with cushion technology. Pro ase launched new ,very attractive and lightweight badminton shoes unders 2000 Rs.Shoe upper design is simple but looks stylish. Its upper is made of flyknit fabric which is all time hit concept for running shoes. But Pro Ase used it in badminton shoes. Flyknit offers lightweight and flexible upper which gives perfect fit to player. Pro Ase used non marking rubber sole in Bg 09 shoe. Sole pattern is hexagon shape designed for better grip. Pro Ase BG 009 shoe comes in two color scheme black and gray , Blue and gray. Thrax N power Neo is latest launched by thrac sports. Shoe upper design is developed by keeping mind the comfort of players. To make upper lightweight and very flexible , Opti Shape concept is used. Opti Shape concept developed by Thrax is latest technology which uses light weight material and wide last for best in class comfort. Shoe design is conceptualized by visualizing positive energy which will force you the keep forwards always. Shoe outer sole is made of 100% rubber material and hexagonal patterns are provided to offer best confort. Shoe cushioning is used 3 layer of highly cushioned material. If compare , Thrax N Power cushion is better than other models. KUAIKE is another popular brand in the field sports shoes and equipment. 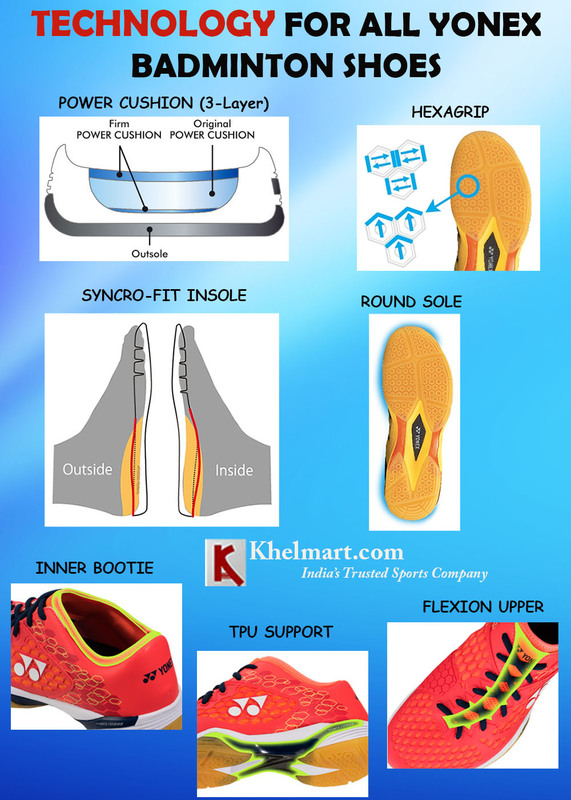 KUAIKE produced sports shoes for badminton and cricket sports. 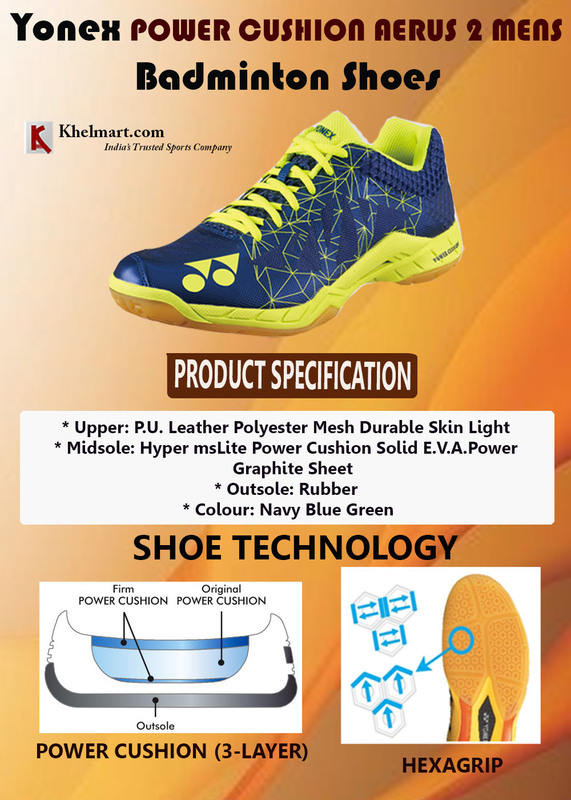 KUAIKE badminton shoes are very lightweight in nature and provide best possible fitting to players. 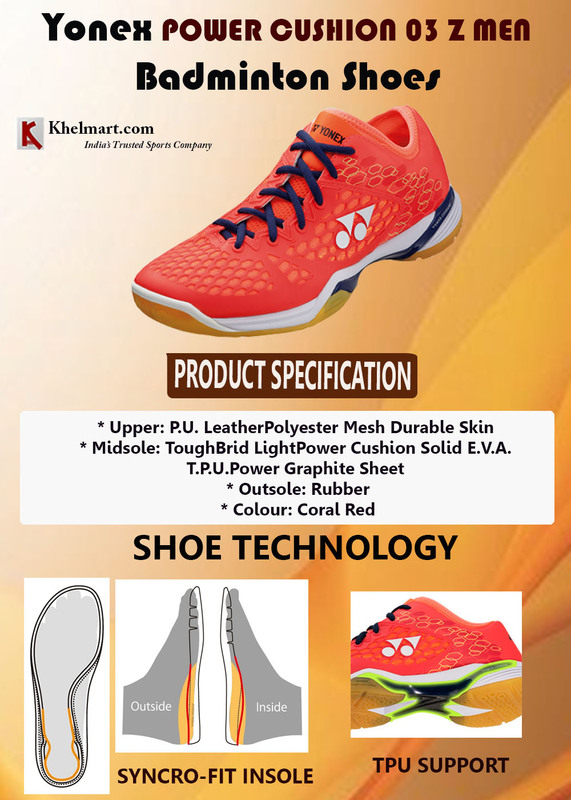 Key features of KUAIKE badminton shoes are its lightweight and flexible sole which provide better comfort and flex to players and helps in effective court covering. Further, better flex helps in Sharpe court covering. Upper of shoe is made of lightweight PU and Air mesh. Midsole of shoe is made of durable pylon material. Pylon material provides better cushioning and effective power transfer for next body movement. 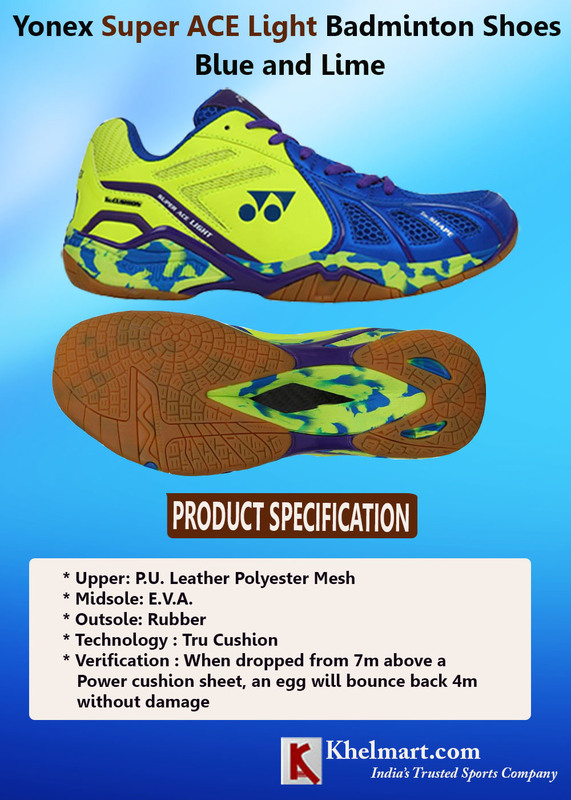 Vector X CS 2015 Badminton Shoes is design for beginner level of badminton players. This shoe is equipped with PU in upper material which will provide you better fitting, stability and control on ground. This shoe is fitted with crape sole for better cushioning and comfort. Each series mentioned above is dedicated for specific playing style. In this Blog we are listing the best Yonex Voltric Series rackets for intermediate players .Voltric series is specially developed for attacking game style and equipped with head heavy configurations. See All Head Heavy Badminton Racket Here .In this type of racket weight of the racket adjusted towards the head side which offers better movement of inertia during hitting and results into extra power on shots. Further , to improve the swing speed , Yonex used aero dynamic frame design which reduces the air resistance helps in better swing speed. VOltric series rackets offers explosive power on shots so that player can easily clear the 3rd line shots with less efforts. Voltric series rackets are developed with Aerodynamic frame so its create less air resistance and help in better racket swing speed which results into fast racket handling. Voltric series racket for intermediate players are equipped HM graphite shaft which offer best in class racket resolution and helps in placing accurate shots. All the intermediate Yonex voltric racket are manufactured with tri voltage system. 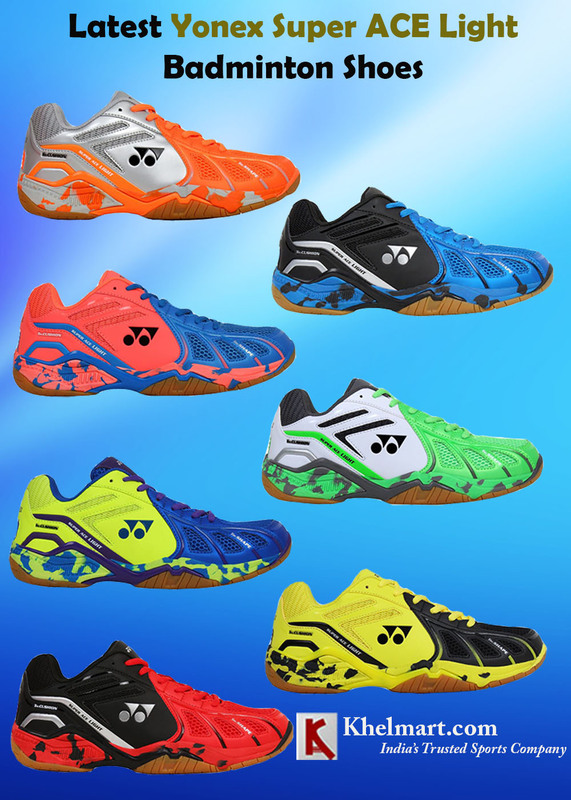 It is good news for Yonex Voltric Series lovers specially for those player missing the all time hit voltric 7. Yonex upgraded the Voltric 7 to Voltric 7 Neo with all new featured and technologies which will enhance the performance of player. With improved Tri Voltage System , player gets better power transfer. Player will get 5% more power on smashes. Further , to improve the aerodynamic of the racket Yonex used improved frame cross section. With Improved cross section, overall Air resistance is minimizes which results into better racket swing speed. Voltric 5 FX is latest model developed by YONEX Japan. It is an upgraded version of Voltric 5. This racket is designed for intermediate badminton players with lots of new and innovative technology by YONEX. All-round playability with a little extra power from the Tri-Voltage System. Good for beginners to intermediate players. Yonex Voltric 5 FX Badminton racket is an excellent racket for the price. Three points on the head (throat, 2 and 10 o’clock) have been strengthened and extra weight added to give a head heavy balance without bulking the whole frame. This centres the sweetspot on the centre of the string bed for increased power. Yonex Voltric 200 Light LCW is a latest launched in 2017. Similar to Voltric Ld 200 , this is a lighter version. Just imagine with Tri Voltage System and head heavy configurations, player will get the racket with 75 to 79 gms only.Racket is developed with signature style of Lee Chong Wei(LCW). Developed with Tri Voltage System which gives incredible power on shots with stable racket head (Thanks to T ankour Joint). Further , improves aerodynamic of the frame gives less air resistance which results into killer swing speed. Yonex Voltric 200 Light LCW is a unique combination of power and control. These two models are designed and developed for advance badminton players and offers great comfort and feel. Yonex always prepared to manufactured lightweight sports shoes for ahetle so that put 100% performance. These two models launched in Sept 17 are lightweight in design and performance and offers best performance during peak requirement. SRCP 01R LCW is the latest badminton footwear launched by Yonex in 2017 for advance badminton players. This shoe is a latest design shoe with new technologies and improved material. Yonex used new PU material with ocean inspired grains on outer surface. Ocean inspired grains structure gives grains like ocean waves. Outer Sole of shoe is 100 % Non Marking Material. Its midsole are equipped with latest EVA (Ethylene-vinyl acetate) technology which will provide you perfect cushioning. Further , its LCW signature patterns will definitely liked by Pro players. SRCR Court ACE Light is the latest badminton footwear launched by Yonex in 2017 for advance badminton players. This shoe is a latest design shoe with new technologies and improved material. Yonex used new PU material with ocean inspired grains on outer surface. Ocean inspired grains structure gives grains like ocean waves. Outer Sole of shoe is 100 % Non Marking Material. Its midsole are equipped with latest EVA (Ethylene-vinyl acetate) technology which will provide you perfect cushioning. Kookaburra design and developed the bats as per modern day game need. Nowadays , lots of t 20 game are gaining popularity in India . IPL and other T 20 leagues are playing key role in making T20 game as viewers 1st choice. In order to take lead in T 20 Game , players need to select the Cricket bat as per game need. Bat Profile and its pickup should give light feel to players. Bat swing speed should be good so that it could enhance the power of shot. Kookaburra ghost 300 bat is Power drive-12 Piece Sarawak Cane Round Handle for strength and flexibility.The Kookaburra ghost 300 English Willow Cricket Bat is made of hand selected unbleached top grade willow with naturally air dried process.Kookaburra ghost 300 Cricket Bat is developed with super spine concept. Super spine is the concept which is developed on top of the traditional bat spine. This spine combines with big edge of bat and gives super power on shots.It is a mid sweet spot positioned bat with big edge (40 to 42 mm), With full back profile .This bat is developed with grade 1 and player will get 6-9 grains. Bat handle:This bat is 12 Piece Sarawak Cane Round Handle for strength and flexibility.The handle comes with a octopus grip giving you a stronger hold and feel when you grip the bat in your hand with your gloves on. Verve 400 bat is endorsed by Jos Buttler.Developed with grade 1 english willow and Kookaburra standard willow drying technique.Player will get 6 to 9 straight grains in this bat. Grain profile and its property will be clean and clear. This kookaburra bat is designed by considering the mordden cricket game need which required the lightweight bat profile. Ghost 450 is latest 2017 design cricket bat developed by Kookaburra cricket.It is mid sweet spot bat with traditional bat profile. This Kookaburra bat is equipped with all new bat features. Bat is equipped with super spine concept in which offer spine height around 56 to 64 mm. This type of high spine along with big edge offers better ping and balance. Further , to improve the bat performance , Kookaburra used the extended sweet spot technique in this cricket bat. This technique optimizes the key parameter of bat like spine , edge and scallop so that player gets maximum hitting zone. This lightweight english willow cricket bat is made of grade A english willow with clean willow profile.Willow grade and its profile will suit the all round type players performance. The Kookaburra Kahuna 800 is crafted from hand selected premium English Willow. Kahuna 800 Cricket Bat is developed with super spine concept. Super spine is the concept which is developed on top of the traditional bat spine. This spine combines with big edge of bat and gives super power on shots. High spine and big edges give this bat a huge hitting area.It is a mid sweet spot positioned bat with big edge (40 to 42 mm), With full back profile .This bat is developed with grade 1 and player will get 6-9 grains. Cricket bats can be classified as Tennis Ball Cricket Bats and Leather Ball cricket bats . Tennis Ball cricket bats are basically designed for recreational purpose where purpose is just to enjoy the game while leather ball cricket bats are designed for serious cricket players. Playing with leather ball required proper Leg Guard, Gloves and other protection equipment. Leather Ball bats can be further classified into Kashmir willow bats and English Willow bats. 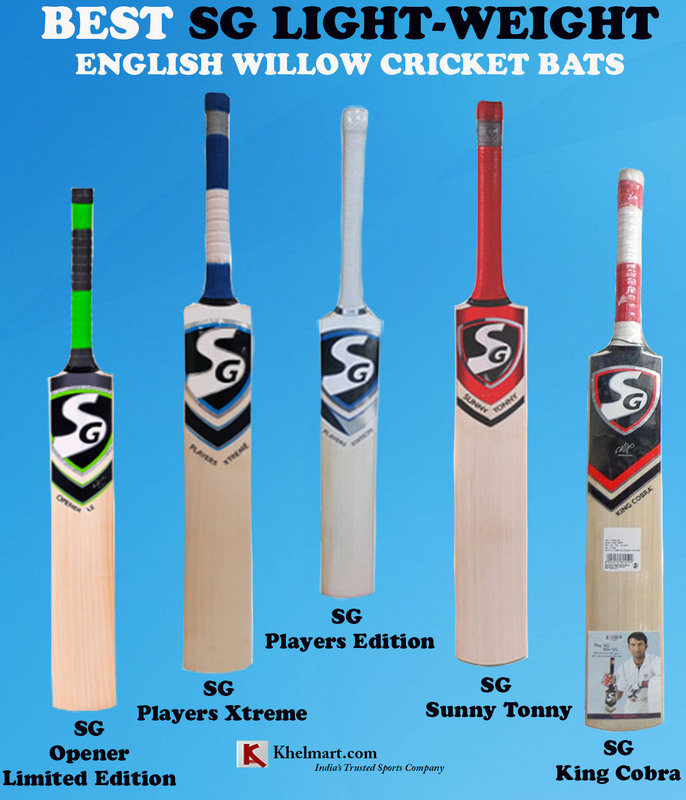 SG Bats offers good range for both type of willow. However , English willow is mostly common and recommended for playing with leather cricket ball. English willow bat offers better ping and performance. In this blog we are listing the Best SG Leather Ball English Willow Cricket Bats. This cricket bat is a mid range leather cricket bat developed for advance cricket players. Manufactured with Grade 3 English willow cleft with optimized willow processing technique.SG used specialized willow processing technique to process the willow and as a process they do not use any bleaching technique for color the willow. Player will get around 5 to 8 grains in this bat. Bat grains will be straight with no blemishes on front of bat. This SG bat is prepared with mid to low sweet spot position with traditional spine shape which is suitable for all round type of players. Bat Edge thickness is around 42 mm while bat face is Flat. The combination of flat face and massive edge generate maximum power on shot.During testing by Khelmart.com, our experts found that RDD Select performance good on defense and attacking game style. Overall , RSD select is a good lightweight English willow bat for all round type of game. SG used , 9 piece Cane handle for developing the handle.Bat comes with full body padded bat cover and Toe guard. This SG English willow bat is manufactured with grade 3 english willow cleft. Cleft is processed with traditional SG willow processing technique. With traditional willow processing technique , This SG bat gives finest quality bat playing surface for all round type of performance.Bat Back profile is full and spine is traditional. With flat face and massive edge , SG Reliant Xtreme is a powerpack cricket bat for allround type of players. Player will get 4 to 7 grains in this bat and bat surface will be clean without any blemishes. SG Reliant Xtreme is a good bat for those who wants all round type of performance.This Bat is packed with massive edge profile with flat face which generates power on shots. Bat Balance and its pickup helps in making drive shots. As its name indicates , SG AR 12 cricket bat is developed for those who wants big hits and powerful performance. This SG bat is developed with Grade 2 English willow with traditional SG bat making technique. Willow processing and its nurturing is done with standard SG technique which offers best in class willow performance.Player will get around 6 to 7 grains in this bat. Willow will be clean and deliver best playing characteristics. Handle of this English WIllow cricket bat is made of 9 piece cane with lamination technique. SG AR 12 is a leather Ball cricket suitable for advance cricket players. Bat shape and its profile will help those player who have attacking playing style. 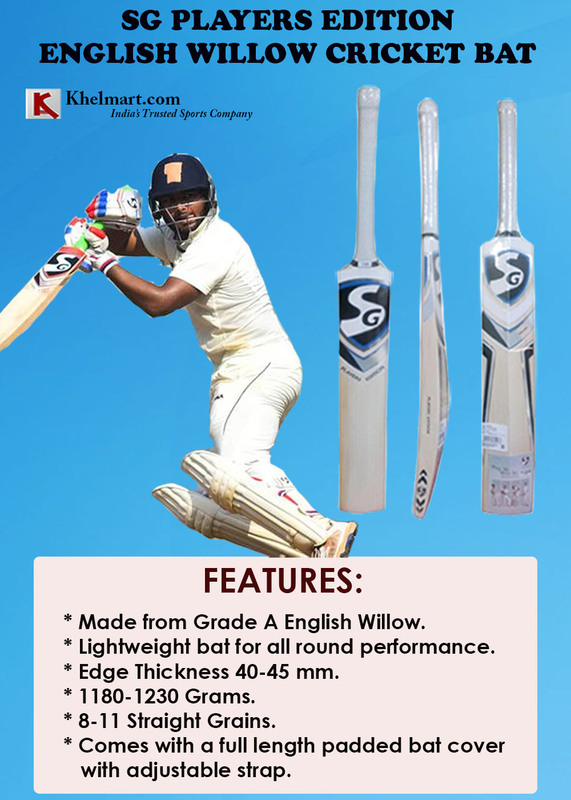 This cricket bat is suitable for advanced level of cricket players who already tried SG bats like SG super cover or similar english willow bats.The profile , spine and back profile are developed in such a way so that it complements the advance level cricket player performance. Bat is equipped with 9 piece cane handle which offers better flexibility and rigidity required for making good shots. This bat is developed with big edge and flat face so that it can generate good pace to cricket ball. In continuous improvement in quality and design , Li Ning further added three new models in its catalogue.These 3 models are latest in design and equipped with latest trends and features. These latest Lining Badminton shoe are launched by Li Ning in Spet-17. We are listing the key features and review of these new models. Li Ning ION badminton shoes are latest model launched by LI Ning in Year 2017. This model is developed for advance to intermediate badminton Players with lots of new and updated technology. Shoe design is very elegant and graphics are very artistically presented on shoe upper material.Shoe technology and its material will definitely improve the player performance and with Li Ning brand Footwear, player can be assured on its durability. To improve the cushioning , Li Ning used the Phylon midsole and 100% rubber outer sole. This Li Ning Badminton shoe is designed with all new footwear concepts like: Anti Slip High Strength Lace , Wider last for better comfort , Durable Upper Microfiber and PU , Phylon Midsole and 100% Rubber outsole. This badminton shoe is designed with Multi base color while on top of that Orange color graphics give a different look to shoes. Shoe upper material is Fly knit Phylon is provide for proper air circulation for better feel and comfort during long game play. Midsole is made of Outsole – Rubber Outsole+Tpu which is a very good shock absorbing material. Phylon sole along with super power cushion will provide an integrated but flexible unit. Outer sole material is 100% rubber with unique groves patterns. 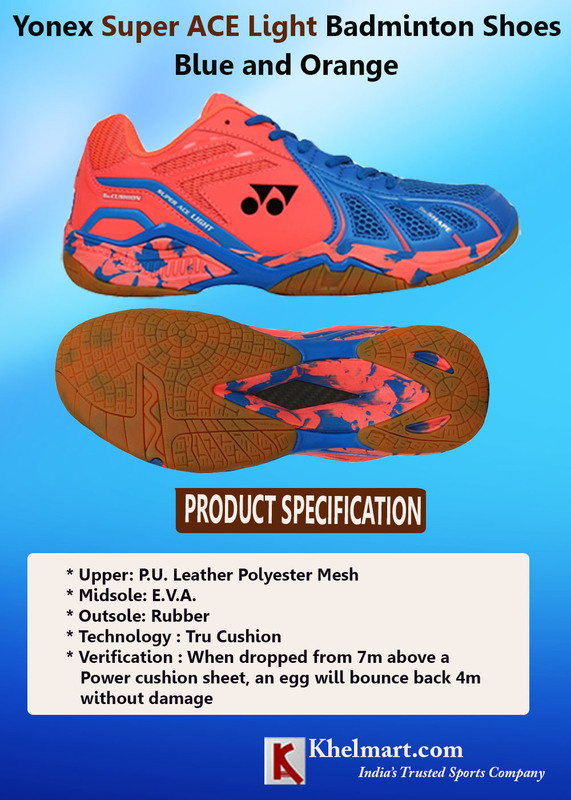 Li Ning OMEGA Shoe is innovative designed shoe for advance badminton players.Its upper is made of Microfiber and PU material which is lightweight but durable material for professional play use. Durable mesh is used at upper for better air circulation. This badminton shoe design is a traditional Li Ning shoe design with X side lining. To improve the cushioning , Li Ning used the Phylon midsole and 100% rubber outer sole. This Li Ning Badminton shoe is designed with all new footwear concepts like: Anti Slip High Strength Lace , Wider last for better comfort , Durable Upper Microfiber and PU , Phylon Midsole and 100% Rubber outsole. The base color of shoe is Black while Li Ning traditional X type shape with Gold color and Li Ning Black Logo looks very attractive. Black color uniform dots and gold embossed eyelets looks unique in this li ning shoe. Lining Brio Badminton shoes are latest model launched by Lining in 2017. This shoes is specially designed for intermediate players. Lining Brio badminton availble in Blue and Lime color combination suitable for badminton shoes. Mostly blue color is using in shoe and small lime color using for mesh and lining symbol. Blue color is very attractive and bright color. Its upper made of Flyknit phenol midsole material which is lightweight and comfort for foot. Its provide for proper air circulation for better feel and comfort during time period / long play game. Midsole is made of outsole- Rubber Outsole + Tpu which is very good shock absorbing material. Lining insole is very comfortable in brown color. Lining Brio badminton shoes is with all new footwear concepts like : Anti Slip high , Strenght lace , Wider last for better comfort, Durable upper and Microfibre and PU and 100 % Rubber outsole. Li Ning ASTRA Shoe is innovative designed shoe for advance badminton players.Its upper is made of Microfiber and PU material which is lightweight but durable material for professional play use. Durable mesh is used at upper for better air circulation. 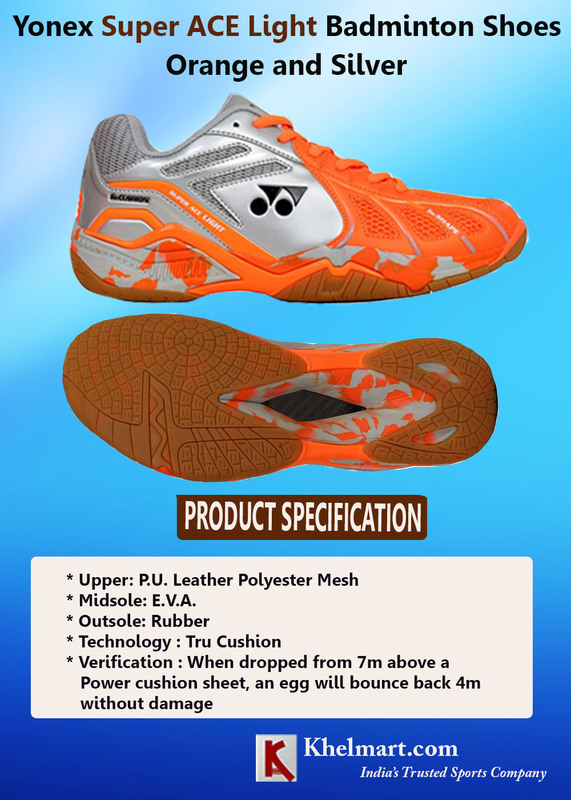 This badminton shoe design is a traditional Li Ning shoe design with X side lining. To improve the cushioning , Li Ning used the Phylon midsole and 100% rubber outer sole. This Li Ning Badminton shoe is designed with all new footwear concepts like: Anti Slip High Strength Lace , Wider last for better comfort , Durable Upper Microfiber and PU , Phylon Midsole and 100% Rubber outsole. The base color of shoe is Blue while Li Ning traditional X type shape with Black color and Li Ning Blue Logo looks very attractive.Shoe upper material is Fly knit Phylon is provide for proper air circulation for better feel and comfort during long game play. Midsole is made of Outsole – Rubber Outsole+Tpu which is a very good shock absorbing material. Phylon sole along with super power cushion will provide an integrated but flexible unit. Outer sole material is 100% rubber with unique groves patterns. 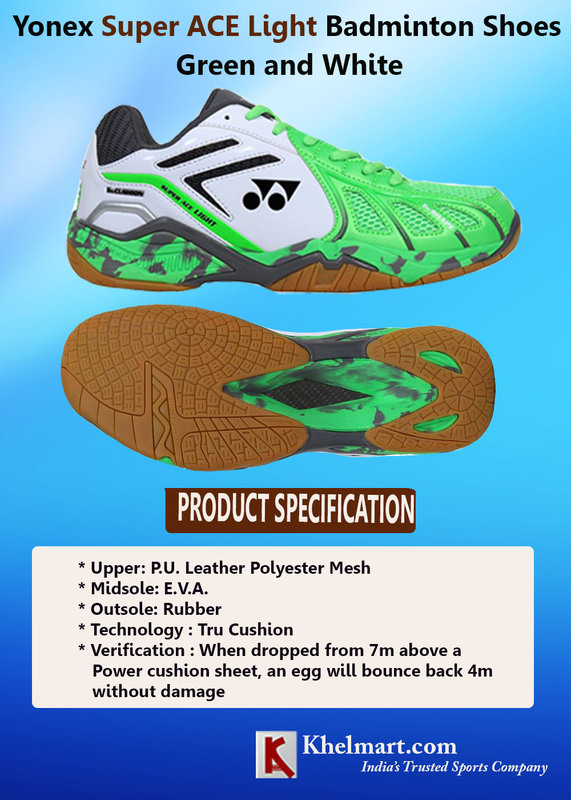 It’s a non-marking shoes which gives you better experience, quick movement on the court and its light weight enables to the badminton players to play the shots effectively with good friction and reduced the risk of glide on the court. Checkout Khelmart.com for other Badminton Equipments. Yonex launched latest super ACE light badminton shoes for advance badminton players. This shoe comes in very attractive color graphics. In this blog we are listing the all variant which comes in this model. Checkout the Full Range of Yonex Badminton Shoes here. Yonex Super ACE Light is the latest badminton footwear launched by Yonex in 2017 for advance badminton players. This shoe is a latest design shoe with new technologies and improved material. Yonex used new PU material with ocean inspired grains on outer surface. Ocean inspired grains structure gives grains like ocean waves. Outer Sole of shoe is 100 % Non Marking Material. Its midsole are equipped with latest EVA (Ethylene-vinyl acetate) technology which will provide you perfect cushioning. It is lightweight non marking Yonex Badminton shoes which is developed for intermediate badminton players. This shoes is equipped with technologies like Power Cushion, Ergoshape and Hexagrip. Yonex Super ACE Light is latest badminton footwear for advance badminton players. Its base color is Orange while on top of that Silver color graphics of PU & mesh are provided.Overall this color combination will suit to those players who wants new and innovative shoe design. Yonex Super ACE Light is latest badminton footwear for advance badminton players. Its base color is Blue while on top of that Orange color graphics of PU & mesh are provided.Overall this color combination will suit to those players who wants new and innovative shoe design. Yonex Super ACE Light is latest badminton footwear for advance badminton players. Its base color is Green while on top of that White color graphics of PU & mesh are provided.Overall this color combination will suit to those players who wants new and innovative shoe design. Yonex Super ACE Light is latest badminton footwear for advance badminton players. Its base color is Blue while on top of that Lime color graphics of PU & mesh are provided.Overall this color combination will suit to those players who wants new and innovative shoe design. Yonex Super ACE Light is latest badminton footwear for advance badminton players. Its base color is Red while on top of that Black color graphics of PU & mesh are provided.Overall this color combination will suit to those players who wants new and innovative shoe design. Yonex Super ACE Light is latest badminton footwear for advance badminton players. Its base color is Black while on top of that Yellow color graphics of PU & mesh are provided.Overall this color combination will suit to those players who wants new and innovative shoe design. Yonex Super ACE Light is latest badminton footwear for advance badminton players. Its base color is Blue while on top of that Black color graphics of PU & mesh are provided.Overall this color combination will suit to those players who wants new and innovative shoe design. Cushioning is very important for badminton shoes as it gives energy management and power to absorb the shock or impact energy caused by player movement. 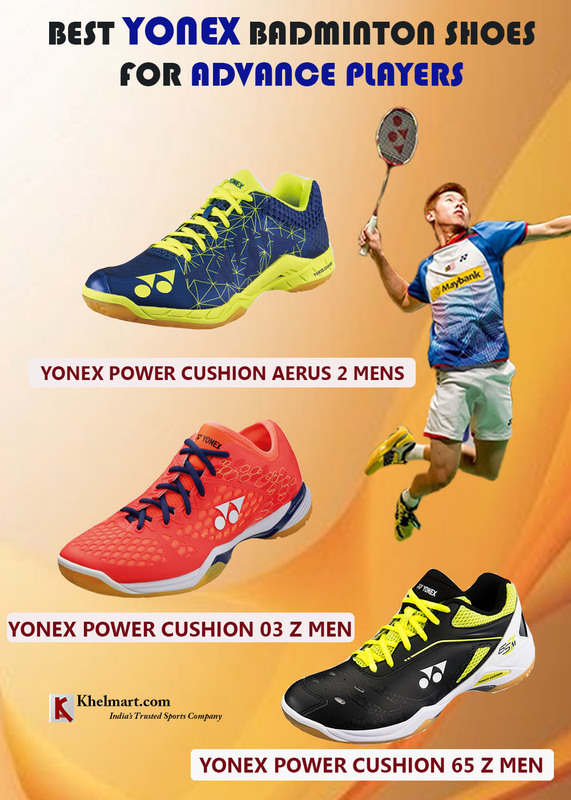 Yonex used power cushion technology to absorb the shocks. Further , Yonex used power cushion material at mid sole which is better than original Phylon material vastly used as cushion material. 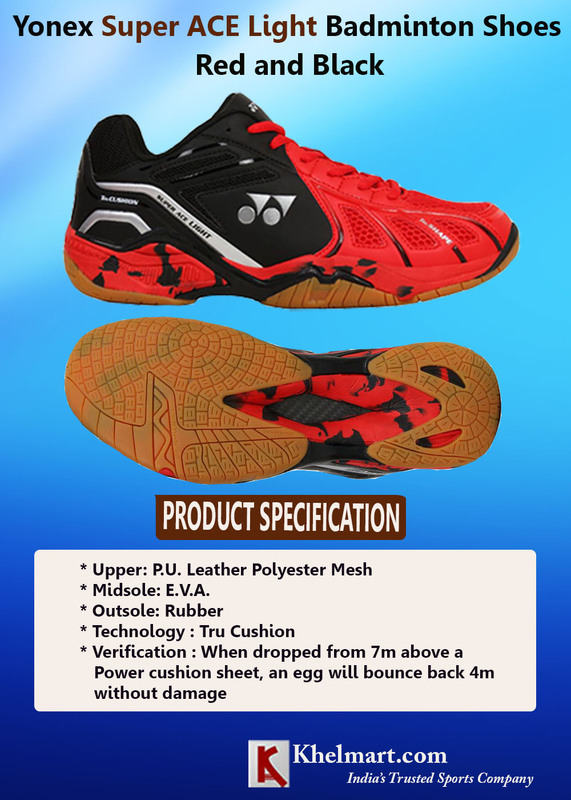 As a test result , when yonex tired to drop an egg on power cushion material its bounce back 4 mm above the power cushion which shows the effective energy transfer from Shoe. Yonex designed the sole shape is different way (Sole shape is round at toe and heel area). In new shape , players gets better fitting , energy transfer. With better fitting , player move on court freely. Better Shoe fitting for different shape and sizes . 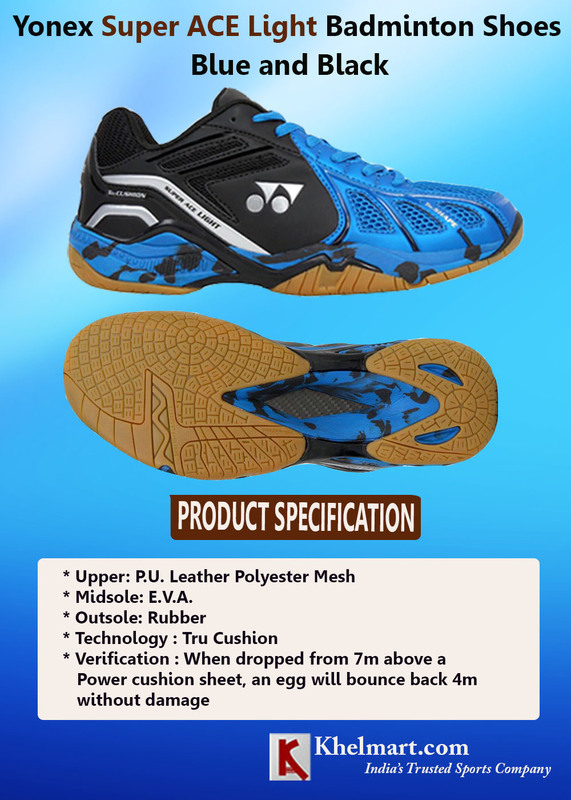 Yonex Badminton provide latest technology in footwear for advance players. Yonex used following latest technology which helps in improving the overall performance of players. Yonex 3 Layer power cushion is already a hit concept in badminton footwear. To further , improve this , Yonex used special elastic resin in power cushion which is lightweight in nature , provide better shock absorbing properties. As a comparison , Power cushion plus provide 25% better power cushioning as compared to traditional power cushion material. Tough bird light is a lighter version of tough bird technology which is basically developed for reducing stress from leg and knee. As a comparison , tough bird light is 11% lighter as compare to traditional tough bird. We all know that graphite is a lightweight ,durable and highly rigid material.To improve the stability and to reduce the weight of the shoe , Yonex used graphite plate at mid portion which shoe. This plate works as support which is lightweight in nature. Yonex used new and latest toe oriented design which offers better fitting and comfort. WIth this latest design , player feel less pressure on toe are. Toe Assist shape for better comfort and for reducing the extra stress. Yonex advance badminton shoes gives lightweight shoe feel. Following are the best Yonex Badminton shoes for advance badminton players. Developed with latest power cushion plus technology, this Yonex shoe gives best in class comfort and support player during intense rallies by reducing extra pressure from knees and foot. It is developed with PU material , Solid EVA Sheet and advance air mesh. With these material and latest technology , Yonex gives best fitting upper. The main feature of this shoe is its power cushion. This power cushion of this shoe provide best comfort and offers 25% better shock absorbing ability. 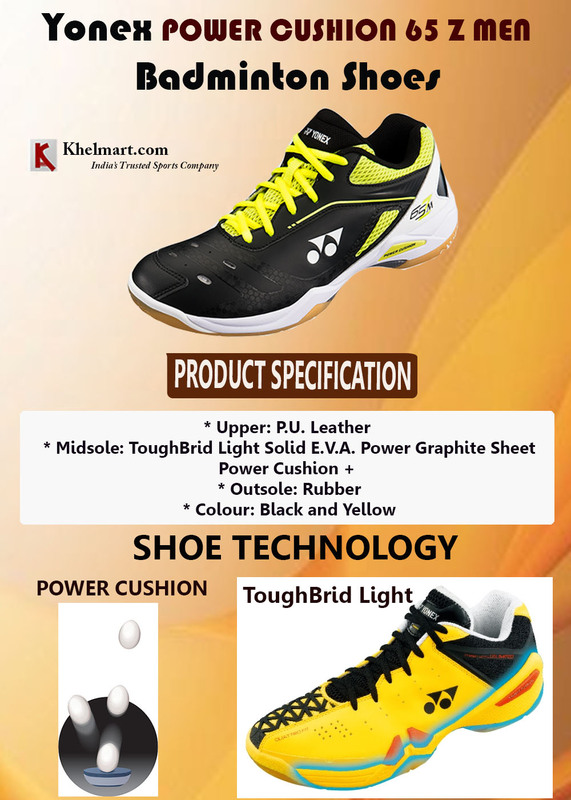 This shoe is marked as lightest shoe in Yonex Badminton footwear catalogue and its weight is just 270 gms. So players who really like to play with lightweight badminton footwear will definitely like this shoe. Its upper is made of leather PU (Lightweight and durable), high quality and durable Mesh, innovative tough guard and skin fit. To improve the midsole performance and cushioning, Yonex used Hyper msLite, Solid E.V.A, Power Cushion and Power Graphite Sheet. All these technology and material together gives best in class shoe feel. Outer sole of this shoe is made of 100% rubber material. It is an updated version of power cushion 2 with new features. In order to improve the stability and fitting Yonex further enhanced the inner material and technology. Upper of Power cushion 03 Z is developed with leather PU and Poly mesh. Poly mesh is fitted in the shoe to provide better air circulation. Yonex used better cushioning material at mid sole which provide better comfort and feel. Overall , Power cushion 03Z is new model and players who already tried its basic version will definitely like this model. Cricket Players are alway looking for bats those are lightweight in nature. Lightweight cricket bats gives better feel to player and these bats are easily to swing. Cricket bat weight around 1050 gms to 1150 gms are considered as lightweight bats. Lightweight cricket bats pick is good which helps in placing good improvisational shots. With the help of these bats player can easily swing it and perform better shots with good timing. Lightweight bats helps in better shot timing. Lightweight bats are very beneficial in playing bouncy cricket pitches. Players who like to play pull , hook and cut shots will definitely like the light weight cricket bats. SG Bats offers good range and players can get bat with weight range around 1100 gms to 1150 gms. Along with lightweight configuration , SG Cricket bats are also offers good pickup and balance point. Based on weight range , we are listing the Best SG Lightweight English Willow Cricket Bats. It is an higer end cricket bat which is developed for advance cricket players. This cricket bat is made from top end english willow. Willow is processed naturally in the air which gives best in class performance.Bat edge thickness is around 40 to 42 mm while bat back profile is full. 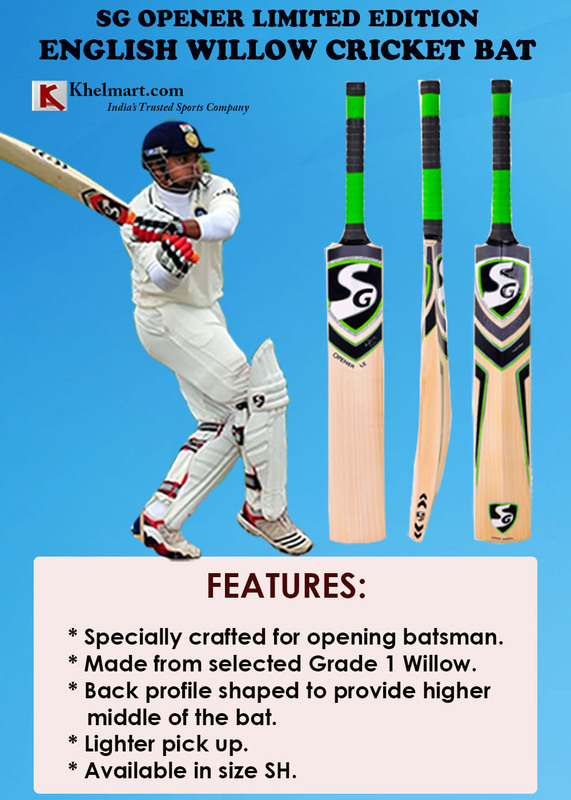 Bat shape is traditional which is developed by state of the art SG Cricket Manufacturing system. SG opener LE bat handle is developed with 12 piece swark cane handle with rubber laminated technique. This type of handle with advance laminated technique gives better control and flex to player. This cricket bat is equipped with Toe guards and comes with full body padded cover. This Cricket bat is made from grade 2 English Willow cleft. Its profile is traditional whereas its main unique point is lightweight design. Bat is developed by considering modern cricket game requirements. With lightweight design and massive edge profile ,player can hit the powerful cricket shots with controlled power. Its blade is curve which provides better directional control on shots. Sweet Position of this cricket bat is bit higher which is design to deliver better drive , hooks and pull shots. Cricket player will get 5 to 7 straight grains in this bat. Bat handle is made of 12 piece cane. Bat comes with full body padded cover. 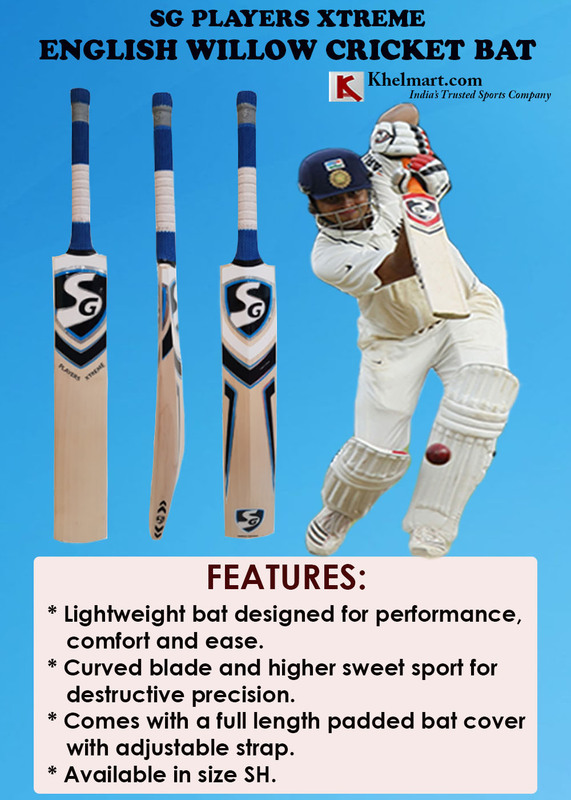 This SG cricket bat is latest model developed by SG for all round type of game play. Developed with Grade A (Finest Willow) and standard SG bat making technique. This bat gives super willow quality for professional game play. Player will get 7 to 9 straight grains with absolutely clear willow profile. Edge thickness of bat is around 40 to 45 mm with enlarged sweet spot position. Its Enlarged Sweet spot & big edge helps in making big hits while balance body weight will allow player to make quality dives and cut shots. The main feature of this bat is its unique spine profile and back profile. Spine is tradition with fullback profile which gives enlarged sweet spot for maximum power in shots. SG used new Chevtec grip in this bat. Chevtec grip gives better and cushioned surface for gripping action. SG Sunny Tonny is again a big hit is SG professional series bat. This bat is used by legendary Indian Cricketer Sunil Gavaskar. So SG maintained same quality in this bat which was used once by Sunil Gavaskar. Developed with Hand Selected premium Grade A English Willow with traditional SG Bat making process which gives durable cricket bat performance for extended bat use. Bat spine shape , Bat profile will suit the all round type of game with improvisational game style. 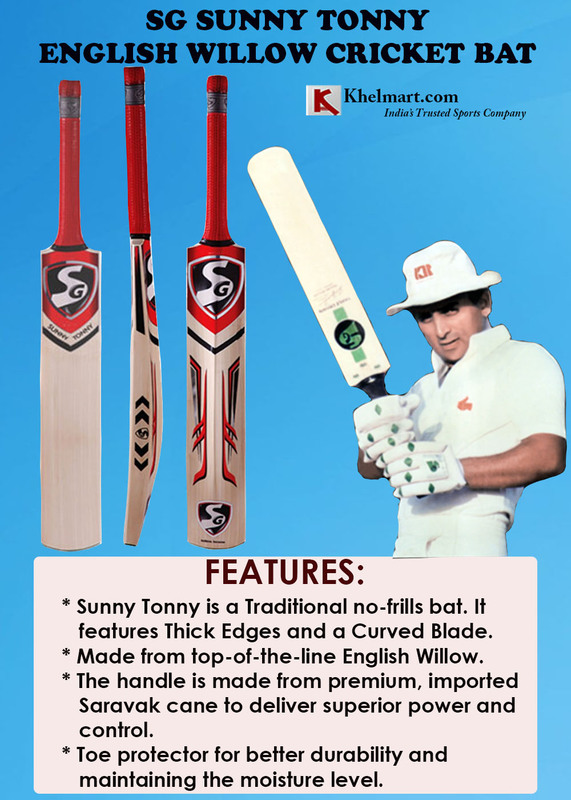 Sunny Tunny is developed for those who want improvisational cricketing shots. Its balance, pickup and spine suits the all round type of playing style. Further to improve the overall bat dynamics, SG used unique Bat spine to give light weight bat feel with perfect balance and pickup. Player will get 7 to 10 grains in the bat while its weight is around 1180 gms. This bat is all time hit in complete SG professional bat series. Featured with SG new concept like Hand Crafted , Big Sweet Spot , Power Drive Handle, Big Edge , Rounded Face Profile. 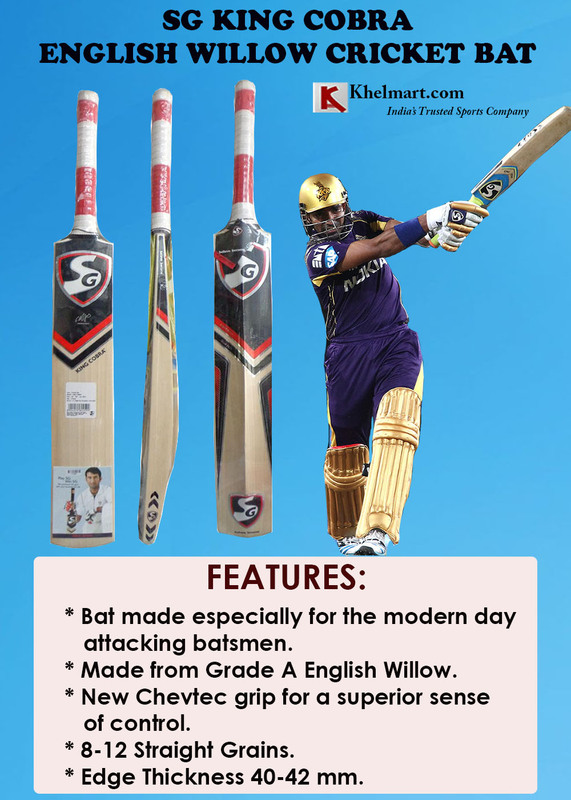 Developed with Premium Grade A English Willow, SG King Cobra is suitable for Attacking game style of play. Bat Balance and Weight distribution is very uniform and gives feather light bat feel. Bat edge Thickness is around 37 to 41 mm. Its handle is made from Saravak cane (Importance from Singapore). With Saravak cane and Chevtec grip , SG King Cobra is a unique combination for power and control. This series of bats are dedicated to aggressive players like suresh Raina.